Writers need readers. Simple enough. I’ve taken advantage of Facebook to boost postings and engage with new readers. I blog, both on my website and with other writers and bring links about those posts to Facebook. But I have become cautious about posting anything but easy thoughts on my website (cynthia@cynthiakraack.com). All who have reacted in a civil manner to postings or photos are greatly appreciated. The hatemongers and brutes on Facebook are another experience. Respectful disagreement appears to have disappeared into rambling, often vulgar, statements that not only disagree but also add opinions about the supposed personality of the writer. 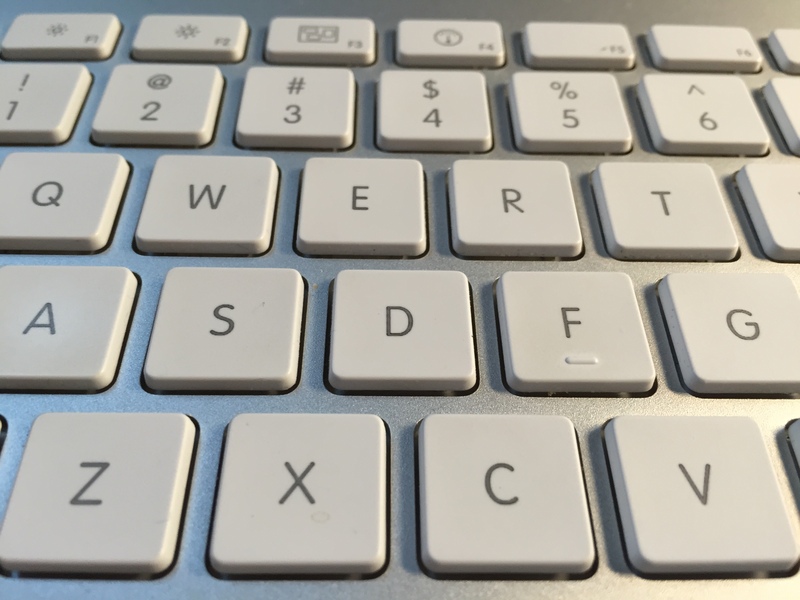 While blog responses can be prescreened, not so on Facebook. I began my writing career as a journalist. People disagreed with editorial content and called or wrote letters. We also had a few cranky folks who would show up at the office. They weren’t fond of conversation, were more prone to raise their voice to tell you their thoughts, maybe with a few vulgarities, even pound on a desk. Sometimes we’d call a family member to help us out, a time or two we called the police. In general, people owned their opinions with names and addresses on letters or by talking face to face. We didn’t deal with people hiding behind threatening screen names. We never expected to be harmed, stalked, or killed. It is a different time. While holding the right to free speech dearly, I am perplexed about how to deal with the verbally abusive responders. At this point I hide their comments. I hear from others that this is part of today’s communication and just not pay attention to what is ugly. Unfortunately I can’t forget. What’s your experience and do you have any advice? An author with five published novels and three book awards sounds like a safe choice when looking for something to read now that winter is at hand. 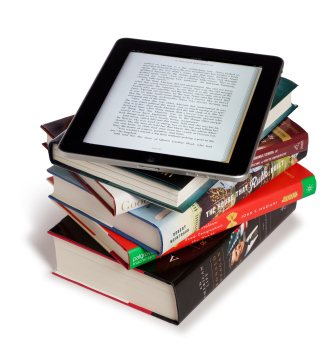 How can an author supplement a publisher’s efforts to get that message to readers? Since my publisher manages @c_kraack, I have opened a new Twitter account for personal use. Follow me @cmkraack and I’ll return the favor. @cmkraack is the Twitter handle to share observations about the world, vacation stories, friends’ achievements, and, because I am a writer, a few tweets about writing. I’ll continue originating more general daily personal tweets related to writing on @c_kraack. There are many sites where authors can interact with readers. I hope to offer readers reason to visit more frequently by developing unique content weekly for my Facebook author page (Cynthia Kraack, Writer) and monthly for my Amazon author and Goodreads pages. I’m also exploring other book websites are more intimate and might offer more opportunity to connect with readers while doing my own search for new books and authors. My blog began as a place to share my views on the writer’s life versus concentrating on the writing industry. I’d like to return to that strategy with new blogs every other week. 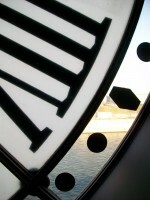 If I have the time, I’d like to develop a new blog introducing people from the broader art world. With video and visual content drawing high social media user attention, I have begun development of a small number of projects to enrich my website early in 2016 including one or two that will be posted on YouTube in late 2016. The Pinterest Book Community looks like a different way to participate in a more visual community. The High Cost of Flowers already has a presence on Pinterest thanks to a wonderful reader. How to do all this is tricky. My most immediate project is developing an editorial calendar. Twitter is a daily activity. Setting aside one day a week for blog writing and refreshing other media is a heavy investment as well as an interesting journey. These are the bare bones of a social media plan. Readings, speeches, guest blogs, blog tours, teaching and traditional marketing haven’t been addressed. Any advice? My father thought he found himself in a character in Minnesota Cold, my first novel. 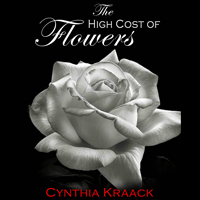 Before release of The High Cost of Flowers I spoke with each member of our family to make sure they knew this book was not about us. My writing group asked what my husband thought of a short story about an unfaithful wife. Not to worry, he doesn’t read my work. But more important, I am a fiction writer. This wasn’t about me. It wasn’t about him. It was a story. Laurie Hertzel, Senior Editor/Books of the Minneapolis Star Tribune and author of the memoir It’s All News to Me: Adventures of an Accidental Journalist, wrote about how family members approached reading a series of blog posts that focused on childhood memories. She said some members read with interest, some with anxiety, some with disapproval. With memoir project research collecting in a folder, I’m both curious and cautious about how other’s memories of an event might differ from mine. Trained as a journalist I’m looking for the comfort of facts even though stories of our family might be the guts of the book. I admit my twentieth century great-grandmother inspired the twenty-first century protagonist of Minnesota Cold and that my father’s devoted caring for my mother, who suffered from dementia, influenced the development of Art in The High Cost of Flowers. Writing a memoir about the actual lives of these two individuals will be challenging. The powerful influence of familiar people, places and experiences in writing is reflected in AWP 2015’s first day schedule that includes three sessions on the topic. I’ll be in attendance. Among the fears that held me back from publishing, offending somebody dear to me ranked fairly high. More than once I’ve read that if you can’t get over that concern you need to do something else. I’ve written five novels, but this memoir is clamoring for attention. Hopefully these AWP 2015 sessions will bring insights that help bolster my courage to take on a project that should be written. Writers are told to build their brand through social media. On top of finishing a book, they should create a website, start a blog, be present on Facebook, tweet multiple times each day. While losing popularity, blogs remain one place where writers can reveal their personality and talents. Blog tours help spread writers’ names through using our time and talents versus costing lots of money. I thank Carolyn Boehlke for inviting me to join this tour. 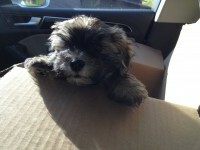 You can find her at http://carolynkboehlke.weebly.com/blog. We share a publisher. When blogs were sizzling, Technorati served as the place to find top 100 listings of blogs by subject matter. In June, Technorati stopped providing that information to the public and reconfigured as a slightly different business. The top 100 list of writing-related blogs was my information shopping destination with new sites always replacing those that fell off in readers or shut down. Spending about a half hour today researching top blogs by subject matter produced lots of ads for services willing to build my blog traffic or apply analytics to a market. Access is now commercial and no longer free. Business Week announced Technorati’s change in business model with a broad statement about blogging “… the inhabitants of the blogosphere started emptying out, lured away by the new crop of social media networks. Somewhere between the rise of Friendster and MySpace, Facebook and Twitter, Instagram and Snapchat, people stopped updating their blogs and then abandoned them altogether en masse.” Many writers have adopted Tumblr preferring the microblogging approach. In July Leaving Ashwood, my fourth speculative fiction novel, was released by North Star Press. 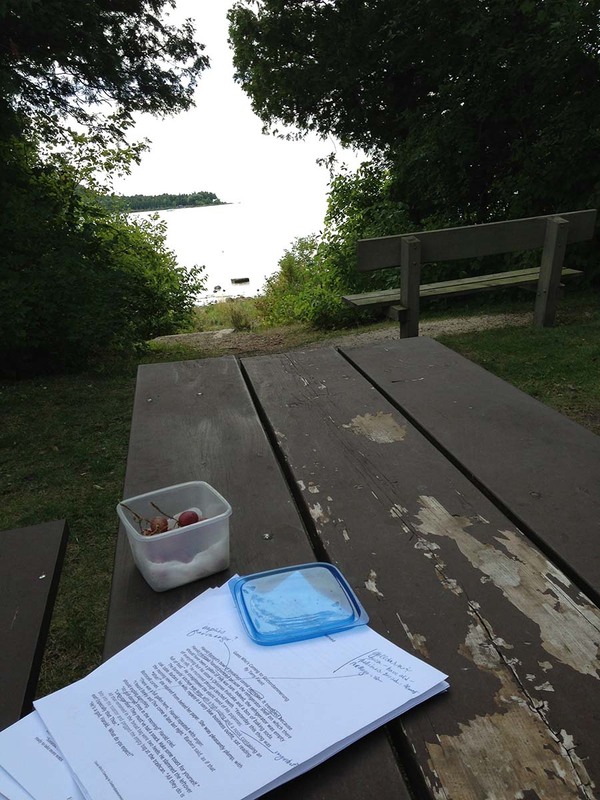 I’ve been blogging off and on since Minnesota Cold, my first novel, was released in 2009 and enjoy writing in a more immediate and informal format. Because I’ve participated in other blogs about my writing process, I thought I’d talk about my blogging process. There are two ways my blogs develop. I keep a list of topics to provide prompts. That’s my planned self. The second approach relies on spontaneous entries sparked in places like airports, hospital rooms, or the back deck. Once I decide to write on a topic I develop an opening and an ending. I spend time researching the topic to find links that might be of interest to a reader. Then I start writing. Often I’ll finish, print the entry, come back in an hour, read the text and revise. I read the text out loud once it is in WordPress. When the writing is finished, I find a graphic to lure a reader’s eye. I’d like to hand you next to Ellen Shriner who produces WordSisters with Elizabeth di Grazia. They are two strong bloggers who work together to produce http://wordsisters.wordpress.com , a blog about their writing, families and the world in general. 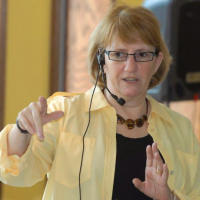 Ellen writes creative nonfiction and has received recognition for her work as marketing communications professional. A funny thing happens when your new book is released—suddenly there is no time to write. This Fourth of July weekend my family found other sources of entertainment and I divided my hours into segments for writing, book release activities and relaxation. Overall, the decision was right. Ellen Shriner (wordsisters.wordpress.com) invited me to become part of the #MyWriting Process blog tour. Ellen is serious about writing. Her main work is creative nonfiction. Her professional work is in communications. She has taught writing. She and Elizabeth de Grazia explore a wide variety of topics. If you’re interested in how other writers manage their creativity, or just curious about writers, click on #MyWritingProcess and enjoy reading. My published books are speculative fiction. I also write contemporary fiction. 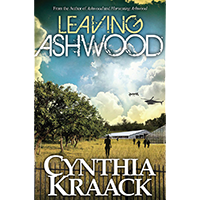 Leaving Ashwood completed the Ashwood trilogy that follows a family for 25 years after a global economic collapse. My first novel, Minnesota Cold, won the 2009 NEMBA in Fiction. I have had a number of short stories published as well. In 2010 I completed a M.F.A. at the University of Southern Maine’s Stonecoast Program in Creative Writing. What is my writing process? Here are today’s best answers to the four questions. #1: What am I working on? Aside from marketing Leaving Ashwood, I am revising a contemporary novel for an indie press. Unfortunately we don’t have a working title to share. I wish I were revising a second contemporary novel. When I am short on time, I write small inserts for that novel. Some of the text will remain backstory; some might be included in the next version. At any time I am also producing new short stories. I usually have one new story in development. In the past year I assembled a submission calendar and send out a handful of stories each month. I am working on pulling together a short story collection. Last, I have a memoir project about my great-grandmother in an early research stage. Like many writers I teach and do presentations. #2: How does my work differ from others of its genre? Most speculative fiction has a strong socio-political bend. The genre has also developed a taste for thriller pacing and action. My writing also explores relationship challenges in a future world—what makes a family, gender roles in times of change, the fate of vulnerable populations. 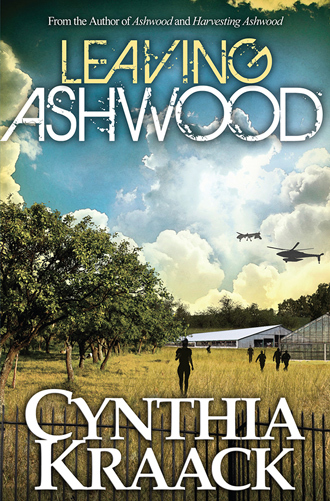 The Ashwood trilogy is a family saga as well as all those things speculative fiction must be. I create strong female protagonists whose influence is often intellectual and emotional. #3: Why do I write what I do? I write fiction because I love fiction. I’ve been a newspaper reporter, a corporate communications professional and a freelancer. While many writers talk about their work being cathartic, my writing may be a way for me to push through concerns about the future. Both of my contemporary novels are about losing a parent. Both were started while my parents were alive. My speculative fiction deals with surviving in a time of infrastructure collapse, about a global depression, about staying relevant regardless of age. #4: How does your writing process work? “Where do you get your ideas?” and “Do you write every day?” are the two most common questions I am asked. Truthfully, my stories are often spontaneous. The second part of that question is thorny. For many years I wrote about six days a week. If nothing flowed, I would use Julia Cameron’s The Artist Way Morning Pages Journal and write three pages. Because of significant family events, that time has shrunk to about four mornings and a few afternoons including time working on my blog, marketing activities and true writing. My typical working times have always been early morning or late evening. I wrote Minnesota Cold without any planning. I knew the main character and had written a short story about her life. Then I wrote until the book was done. Then I rewrote the book in a different voice. Then I got serious. It was a tremendously inefficient way to write a book. For the Ashwood trilogy I created the dramatic arc of the three books then wrote a few paragraphs for each book about the main character, the family and the world in which the story would happen. I outlined one of the books and found that didn’t work for me. I created a storyboard for the other two books with a few paragraphs about critical events or changes and found this approach clicked. I’ve used the storyboard technique for my second contemporary novel. It is critical for me to be able to create a “What is this story about” page which will hopefully be distilled to a one sentence description later. A writing group of established writers continues to be important. Their input often drives significant rewriting or subtle changes. When a large piece is complete I like to set it aside for a few months then read it from start to finish with a highlighter and colored paper flags nearby. From this read I draft questions, study characters, develop revision direction. I also assemble a set of fact sheets at this time to keep track of simple facts and plot points. Then I tackle rewriting. And tackle it again. And again. When I feel the project is nearly complete I ask a very small group of readers to read the manuscript. Then I rewrite. The process is always a work in change. I learn with each project what worked or needs improvement. Next Writer: Gary Lindberg has agreed to grab the baton and join the #MyWritingProcess blog tour. Gary is a fascinating person…and writer. It’s hard to believe that this gentle soul manages to kill off so many characters in every thriller. His writing process description must be interesting. Thanks for reading. 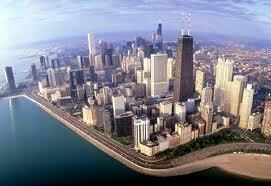 Please come back to visit. My posts are always much shorter. I’ve missed blogging. While cleaning up a technical glitch, I kept writing entries and share with you a confession piece. Reading a stack of my latest blogs, I felt silly how many began with one word: “the”. A dictionary of words could be used and I grabbed an overused, wimpy, workhorse. Trying to write without using this word is challenging, a bit like starting my morning with Diet Coke. I once planned to write a novel with each paragraph having similar cadence. That effort lasted for approximately five hundred words. Writing without use of our language’s most commonly used word is tiring. There is a reason English has a collection of disposable small words. I couldn’t even find a definitive article to classify “the” within major parts of speech. Is it a modifier or an adjective? An answer appears mushy. Dinner is calling. A good friend would like to eat out tonight. To get to my reward for spending thirty minutes on this subject, I close with a commitment to be aware of lazy grabbing of words and create more riveting first sentences. In the blogosphere opinions run strong about the best way to journal. A Google search culled out 148,000,000 blog entries about the topic. Old school writers debate loose paper versus bound books and the meaty question of lined or unlined paper. The techies chose sides along the constant availability of mobile devices and cloud storage or willingness to remain tethered to a computer. 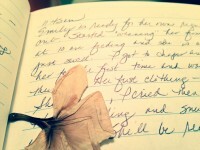 For unknown reasons, I’ve got the journaling itch again and am leaning toward my old ways. Writing by hand slows my thoughts, forbids self-editing, creates a sense of accomplishment as I turn a page, displays the charm of Catholic school cursive training. Reaching for my journal is a statement of purpose that closes out distractions. Last week I tried electronic journaling. The experience was just okay for me. I wrote stuff then edited it, played Solitaire when thoughts slowed, and responded to Facebook notifications. When I was through I posted everything to a confidential file in Dropbox. The confidential code I used will keep my work from inquisitive minds, but once I stop journaling I might forget what the file name means as well. I have a drawer filled with wonderful blank books and plan to crack one of them open. Like urns of loved ones’ cremated remains, what will happen with these journals after we are gone? Will my kids be horrified if they read about my first sexual experience, learn more than they want to know about rocky times, be surprised about long ago decisions? Will they like my poetry, laugh at my lousy art, be hurt I didn’t write more about them? The whole confidentiality of journal writing puzzles me. When my father died I found three calendars filled with his writing. Each day he recorded the morning temperature, major events of the day like visitors and small facts no more important than changing razor blades or car oil. It’s what I don’t know about his recording that bothers or tantalizes me. He told me that when he was a boat in Pacific during World War II he kept small notes on a calendar to share with my mother. So who did he record these facts for in the 1990s? Should I assume beef stew was his favorite meal because it is called out or was he just searching for words to fill in the tiny box of that day? Did he carry these calendars on vacation or fill in the squares later? I want to know more. I’ll worry about the future of my journals later. I don’t think journals left behind are as weird as Howard Hughes keeping his nail clippings in jars. Right? We constantly change throughout our lives. Maybe tonight I’ll cruise through my books from 1982 or 1995 or 2010 for some insight into where I am on the eve of 2014. Or maybe I’ll spend time finding a more secure place to store the books I’ve found. It could have been a good joke. Did you hear the one about two priests, a pregnant woman and a guy in big hat? Wait for the punch line. Another Tuesday morning at Minneapolis-St. Paul airport. Two young priests in full-length cassocks stand with arms outstretched as a TSA agent runs a wand over their bodies. The pregnant woman in front of me is called aside to remove lotion bottles from her carry on bag. A tall man with a tall ten gallon cowboy hat asks the agents to hand carry his new purchase through security. The security folks agree. My ticket has “TSA PRECHK” on the top. I don’t have to remove my shoes. I’ve flown enough this year on one airline to earn this small special dispensation. The pregnant woman isn’t happy with differential treatment and grumbles as she eases out of her heels. On the other side we redress, reshuffle the things we carry, check our tickets and id are easily available, and disperse into the early business morning crowd. There was a moment when we were a spontaneous community. Then the common experience is over and we are merely strangers who have successfully navigated a small challenge at seven thirty in the morning. For some reason I need to write about these four people. On the tram to the concourse I consider taking out my laptop. I pass a collection of tables and think about stopping. Seasoned traveler, I get to the gate area and claim an end seat. The words haven’t disappeared, the sensation is still fresh, nothing else has distracted my thoughts. Perhaps this small group stands out because each person so clearly carried unique identifiers into the homogenized crowd of dark-suited business travelers. The young priests proclaimed their faith, the pregnant woman could be called a mother, Mr. Cowboy carried his self-identity high above most of us. In a busy world where blending in is a valued skill, they were exceptional. Somehow they’ll find their way, as one grouping, into some future writing. As for my Green Bay Packer logo jacket, well the insignia is tastefully embroidered on the left chest. Not really noticeable unless someone is looking closely at strangers in a crowd. Did I Tell You about Getting Sick? So I spent a week in sick bay. Got some good fiction writing done between coughing attacks. Maybe traveling country roads with a fictional father and son was easier than dealing with a very real temperature and aching body. Maybe I’ll read those pages in a few weeks and ask “what was I thinking” then remember that I wasn’t really thinking very much. Fortunately I don’t get hauled under by wandering viral sicknesses very often because I am a restless patient. With three unread books waiting for quiet time, I paged through magazines and played computer games and listened to music. Plague of Doves by Louise Erdrich was carried from room to room then in the car to and from Door County. I reread the first twenty pages a few times and look forward to starting over soon and losing myself to her storytelling. The news of Helen Gurley Brown’s passing almost made me purchase the latest Cosmopolitan, but I’m of a different generation than its readers. My magazine shopping as a young woman was an odd collection of Cosmo, Ms., Good Housekeeping, Time, Sports Illustrated, and Fortune. You could say I was not defined by gender. You could think I was unfocused. In reality I like good writing and interesting editors. It is a good thing today that magazines are so expensive or we would be filling our recycling bin at an alarming rate with the number of newspapers and magazines that could be coming to our house. No excuses this week. After I clear another layer of stuff off my desk, make sure my calendar is up to date and the bills are paid, I will get back to my daily routine. This morning another favorite literary agency blog announced its end. “And so we say good-bye” by Jessica of Bookends Literary Agency gently closes the window that provided a peek behind the curtains that protect whatever happens in the world of agents. Jessica says she feels the power of the blog has faded in a world of Twitter and Facebook. Insane as you might think this is, I agree with Jessica. Blogs are kind of like the New York Times of miscellaneous information when news crawls across the bottom of a screen fulfill some readers’ need for all the facts. Blogs are a guilty pleasure—reading about a topic of interest for a full minute instead of answering emails or opening Facebook or something equally as immediate. The Bookends blog had a rotation of writers and posted new materials almost daily. Wow, that’s like producing a new brochure about your business every week. While I agree with Jessica, the reality is new writers are encouraged to blog, to build an online presence, and relationship with readers. When Nathan Brandsford moved from agent to social media consultant and published writer, he backed away from daily blogging because of new demands on his time. Maintaining an authentic blog presence is a responsibility that can’t be approached lightly. Nathan is back and writing to a different reader—a person who likes YA literature and reading instead of Jessica’s audience—individuals in earlier stages of their own literary careers. During AWP 2012 blogging was all the buzz. Poets presented blogs that featured party pictures and new works, bookstores talked about blogs connecting them to their customers, publishers emphasized that writers had to have presence to attract an audience. While presenters at AWP 2012 didn’t present solid statistic about the value of blogs, others in the marketing world have been doing research. Social Media Examiners claims there’s a strong correlation between how frequently a blog posts and the amount of traffic generated. They claim businesses that post daily will generate 5 times more traffic than those that post weekly or less. They have interesting diagrams to support their findings. 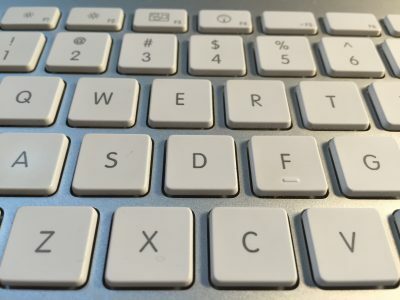 For writers that suggests blogging could be useful not only in attracting an agent or small press, but also supportive of continued marketing of published works. It would be wonderful to have harder data, but when has there ever been hard statistics about successful marketing for writers to follow? More people are buying books and there are so many more book titles to buy. In a market that continues to fragment building an audience requires more than one strategy. Beyond marketing data, a blog does provide a writer with the opportunity to invite readers to peek behind the curtains of a fictional world. I am not Sally Dodge or Anne Hartford. This is Cynthia Kraack figuring out the world of writing.